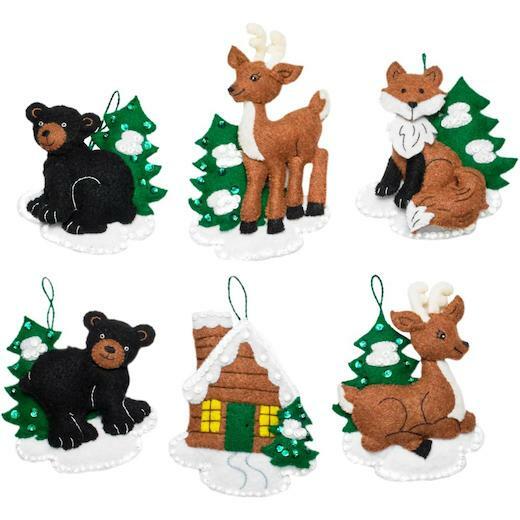 Winter woodland friends are the feature of the Santa Black Bear Cabin six-piece felt ornament kit. This fun ornament kit includes everything needed to create this ornament set, including: stamped felt, cotton embroidery floss, two needles and simple instructions. Intricate detail and festive holiday colours. For almost 150 years, Bucilla has been providing high-quality needlework kits for stitching enthusiasts worldwide.